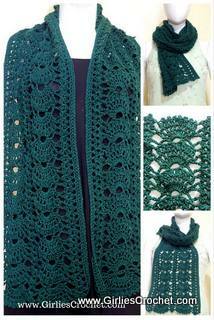 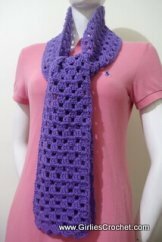 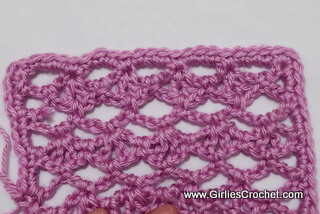 This is a free crochet pattern for Easy Lacy Scarf. 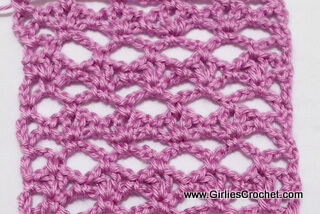 This scarf pattern is 6 rows repeat, multiple of 4 plus 2 sts. 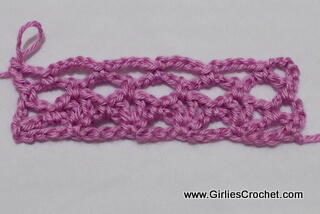 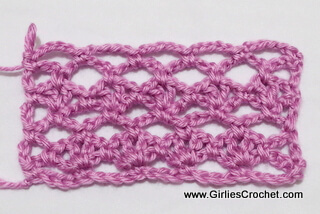 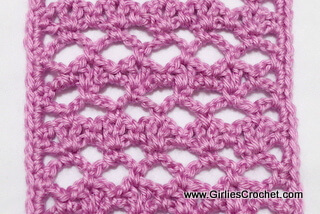 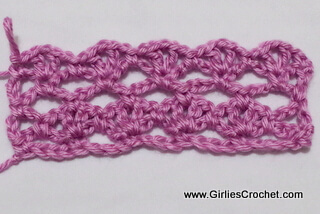 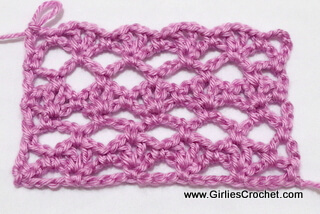 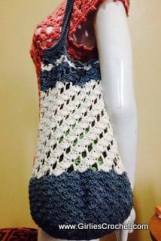 This is a Shell st and Chain 5 combination, you may get the stitch pattern HERE. 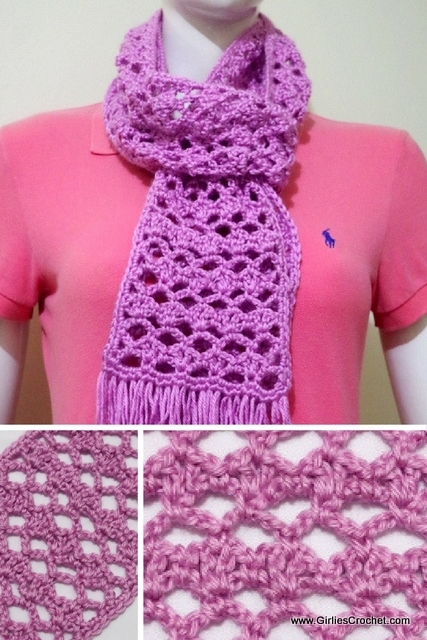 Finished Size of the scarf is 5" x 66"
Also this can be modified to become a wrap by widening and extending the length. 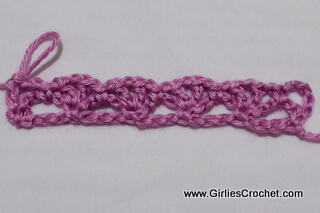 Row 1: Ch 22, sc in 2nd ch from hook. 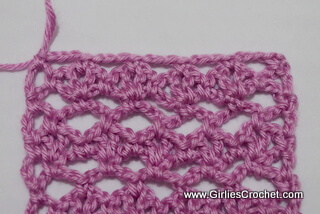 Row 2: Ch 5 (consider ch 3 as 1st dc and ch 2 as ch sp, here and throughout the pattern), turn, sc in next 5 ch sp, *sh in next sc, sc in next 5 ch sp, rep * across, ch 2, dc in last sc. 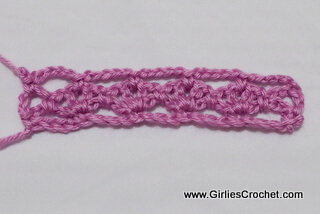 Row 3: Ch 1, turn, sc in the same st, ch 5, *sc in next sh, ch 5, rep * across, sk next 2 ch sp, sc in last dc. 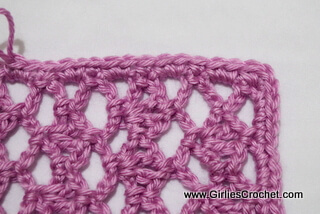 Row 4: Ch 5, turn, sc in next 5 ch sp, *ch 5, sc in next 5 ch sp, rep * across, ch 2, dc in last sc. 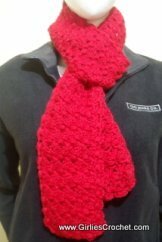 Row 5: Ch 1, turn, sc in the same st, sh in next sc, *sc in next 5 ch sp, sh in next sc, rep * across, sk next 2 ch sp, sc in last dc. 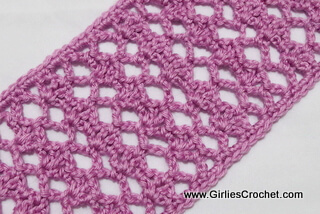 Row 6: Ch 5, turn, sc in next sh, *ch 5, sc in next sh, rep * across, ch 2, dc in last sc. 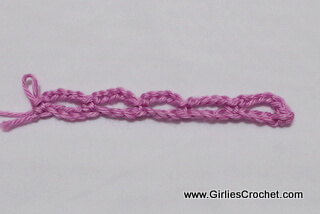 Row 7: Ch 1, turn, sc in the same st, ch 5, *sc in next sh, ch 5, rep * across, sk next 2 ch sp, sc in last dc. 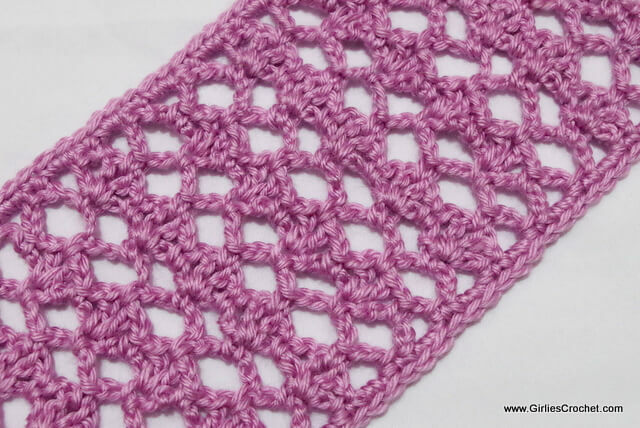 Row 8: Ch 5 (consider ch 3 as 1st dc and ch 2 as ch sp, here and throughout the pattern), turn, sc in next 5 ch sp, *sh in next sc, sc in next 5 ch sp, rep * across, ch 2, dc in last sc. 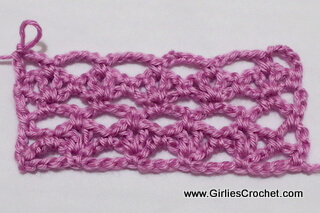 Row 9 and 64: Rep row 3 - row 8 or as your desired length. 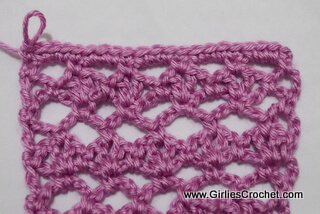 3 sc in the corner, on the other end, 3 sc in next 3 ch sp, *sc in next sc, 3 sc in next 3 ch sp, rep * across, 3 sc in the corner, rep edging on the side same as the other.